Governor Bob McDonnell has announced that the Virginia Department of Transportation (VDOT) has reached agreements with its private-sector partners to advance the Coalfields Expressway and the Route 58 Corridor Improvement projects. 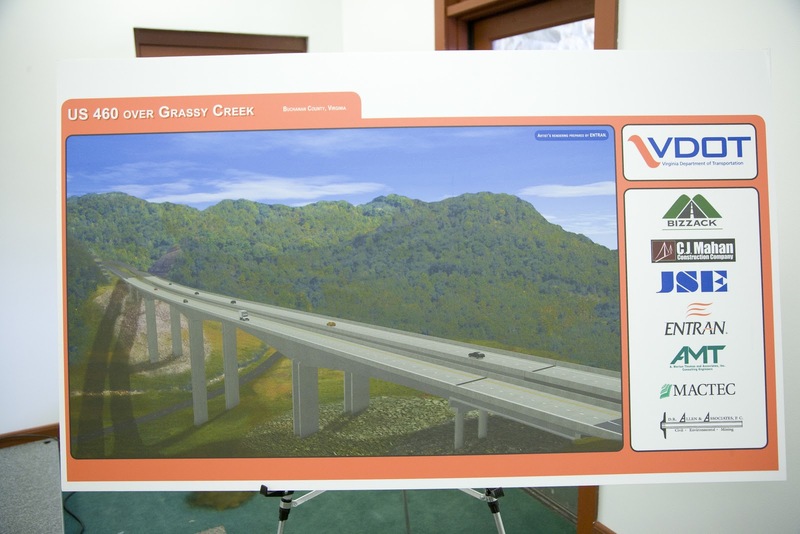 Both of these projects will benefit transportation and economic development in western Virginia. VDOT and the new Office of Transportation Public-Private Partnerships (OTP3) are advancing both of these projects under the Public Private Transportation Act (PPTA). The PPTA allows VDOT to partner with the private sector to deliver projects quickly and more efficiently. Funding for these projects is from the governor’s historic transportation package and was programmed into the Six-Year Improvement Program by the Commonwealth Transportation Board. VDOT has negotiated a $3.8 million amendment to its existing PPTA contract with Alpha Natural Resources to begin preliminary engineering of the Pound Connector and Doe Branch sections of Coalfields Expressway. Coalfields Expressway – U.S. Route 121 – is a proposed four-lane highway stretching approximately 49 miles from Pound in Wise County through Dickinson and Buchanan counties to the West Virginia state line. The Doe Branch section ties the Route 460 Connector Phase II and Hawks Nest in Buchanan County and travels west to Route 80 in the Haysi area of Dickinson County, about 4.8 miles. The Pound Connector is about 6.8 miles, beginning at Route 23 in the Pound area of Wise County and extends into Dickinson County where it will connect to Route 83 via a connector road. Last July, VDOT completed the first section of rough grade road bed for the Coalfields Expressway. Alpha Natural Resources constructed the rough grade road bed at a cost of $10 million, a savings to VDOT of over $90 million by coordinating the road bed development on mountainous terrain as part of an active surface mining operation. VDOT negotiated a $119.75 million amendment under its existing PPTA contract with Branch Highways Inc. to build the next phase of Route 58 improvements along the 36-mile corridor between Hillsville and Stuart. Under the PPTA agreement, construction is expected to begin in spring 2012 to widen 8.2 miles of Route 58 between Meadows of Dan and Laurel Fork. This project is referred to as the Tri-County (3.2 miles) and Laurel Fork (5 miles) sections of Route 58. The Route 58 Corridor from Hillsville to Stuart is the last remaining section to complete the widening of Route 58 from Virginia Beach to I-77. In December 2003, VDOT signed a public-private partnership agreement with Branch Highways Inc. to develop and widen 36 miles of the Route 58 Corridor from Hillsville to Stuart as funding became available. The corridor begins southwest of Hillsville and continues east through Carroll, Floyd, and Patrick counties to approximately one mile west of Stuart. The first phase of widening Route 58 under this contract, a three-mile Blue Ridge Parkway crossing at Meadows of Dan, was completed in May 2006. The second phase of widening, the $83-million Hillsville Bypass, was opened to traffic in August 2011.